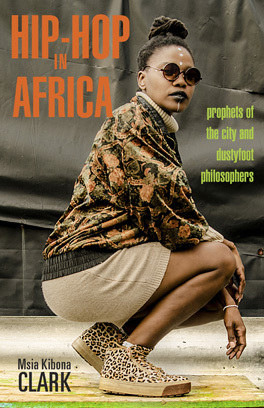 Within the heart of African Hip-Hop lies a blend of cultures and traditions reflected through artful use of smooth mixtures of languages, both native and foreign, and tongues both intimate and mainstream. Thuto Ricardo Ramphaleng, more commonly known by his stage name, Dramaboi, is a young Botswanan Motswako hip-hop artist from the townships whose fluid mastery of the English language and command of his mother-tongue Zulu as well as various pigeon dialects allow him to skillfully relay deep and touching sentiments, even to those who do not fully understand all the languages spoken. In Dramaboi’s 2017 hit, Conversation with Mama, the young rapper recreates a hopeful heart-to-heart between he and his mother, switching from English to Zulu to slang with ease, always using the right phrasing, language, and dialect to make his music flavorful and his message heard. The artist incorporates both English and Zulu in the second line, saying, “my life okare buka yabo things fall apart,” encompassing the theme of acculturation in Africa and possibly referring to the popular novel on European colonization, Things Fall Apart by Chinua Achebe. A following line, “O nkgopotsa rraago everytime you act tough,” translates to “you remind me of your father every time you act tough,” commencing a more personal topic and using a more intimate language to match. Later on, he raps, “I really hate to see you cry ma,’ Ga o ise o itumele ever since tyma a go thuba sly ma’” effortlessly mixing English, Zulu and slang to tell the story of how and why his mother has not been happy. Short slang expressions like, “ke godile,” make appearances throughout the song as the main lyrics alternate between half Zulu and half English bars with sprinkles of slang and Botswanan dialect. The work as a whole represents not only a story and situation intertwined with hope and pain, but a culture interlaced with multiple influences and deep interpretations of those influences.